What do you need to help the Eleventh Doctor fight his latest foes? 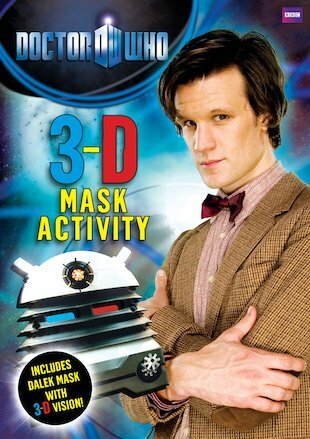 A companion like Amy – and a cool mask that gives you 3D vision! It’s the ultimate adventure tool, created to let you see the action through a Dalek’s eyes. Just press it out from the pages, slip it on and let the 3D vision lenses reveal hidden codes and clues. Then gasp as posters of all the coolest aliens and monsters spring into realistic life!